There are many vitamins, minerals, herbs and other nutrients that can significantly lower your chances of developing heart disease, as well as help treat any condition you may currently have. Many of these can be found in the foods that you eat. Others can easily be supplemented. Policosanol – a powerful extract from sugar cane wax that has been widely studied. Policosanol has been shown to lower bad cholesterol (LDL) and increase good cholesterol (HDL). Guggulipid – an ancient Indian herb that has been shown to reduce LDL levels and has performed better than modern drugs in several trials. Green Tea – among its many therapeutic benefits green tea has been shown to lower the amount of LDL’s in the blood stream, and aids in the prevention of blood vessel constriction. Beta Sitosterol – found naturally in soybeans, wheat germ and corn oil, this plant compound has a similar structure to cholesterol and as such can help stop the absorption of cholesterol in the body. Niacin (Vitamin B3) – can help reduce total cholesterol levels in higher dosages. Chromium Polyniconate – this organic version of chromium can help lower LDL cholesterol and triglycerides, as well as raise HDL (good) cholesterol. Fish Oil – contains Omega 3 fatty acids (DHA & EPA) which can lower LDL levels in the body. Fish Oil – high in Omega 3 fatty acids that have been shown to lower triglycerides in conjunction with Vitamin C and a low carbohydrate diet. Vitamin C – works in conjunction with fish oil to lower triglyceride levels. Guggulipid – has been shown to reduce triglyceride and cholesterol levels. Green Tea – can significantly lower triglyceride levels in the blood. 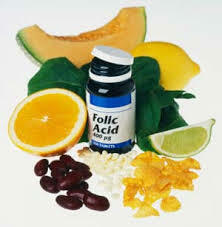 Folic Acid – also known as Vitamin B9, folic acid can help the body produce the enzymes necessary to remove homocysteine from the blood. Vitamin B6 – along with folic acid and Vitamin B12, helps reduce homocysteine levels. Vitamin B12 – works with folic acid and Vitamin B6 to assist in homocysteine removal. Fish Oil – the essential fatty acids in fish oil have been shown to decrease inflammation and in turn CPR levels. Ginger – Ginger root extract can help reduce inflammation, as it relaxes the muscles surrounding blood vessels and facilitates circulation. MSM – Methyl Sulfonyl Methane, commonly known as MSM, is a naturally occurring sulfur compound that has strong anti-inflammatory properties. Should you take all of these nutrients separately or together in one comprehensive formula? 1. Taking each vitamin, mineral and nutrient separately could prove very costly as you would have to buy many different supplements. 2. Mixing and matching nutrients on your own could be dangerous to your health as they could interact adversely. 3. Many nutrients can work together to offer more therapeutic benefits, often better than a single nutrient on its own. We have been taking a specially formulated product called Total Balance as our core nutritional supplement. It contains all of the heart healthy nutrients we discuss on our site, as well as vitamins, minerals and amino acids for overall health and well-being. See for yourself how Total Balance with natural ingredients may help reduce your risk of developing heart disease today. We have discovered a high quality fish oil supplement that we have been taking ourselves for many years now. It contains the highest levels of DHA and EPA, two of the most therapeutic Omega-3 fatty acids. Unlike most fish oil supplements, this supplement contains molecularly distilled fish oil esters, which is a purified form that it most readily absorbed in the body. It is also free of any contaminants because it is harvested from pristine, clean waters. Take a look at this Omega 3 DHA Fish Oil supplement and see how they can promote a healthy heart today. Please Note: As with all health supplements, please be sure to consult your physician or qualified medical professional before taking any supplements to prevent or treat any heart conditions.